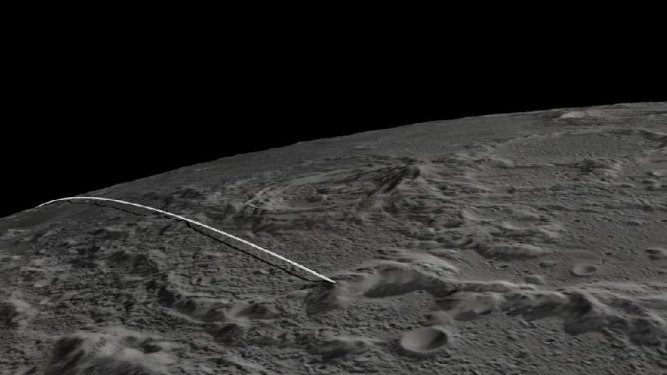 Twin NASA orbiters Ebb and Flow have done a fantastic job of mapping lunar gravity at accuracy down to the micron, but that job is over now. The pair won't get to go into any sort of retirement though; they will fly straight into the moon today, and NASA's going to livestream it. The duo is due to make contact at 5.28pm EST (9.28am AEDT) near the moon's north pole, but don't expect any gory visuals; the crash point will be in shadow at the time of touchdown. Nonetheless, NASA is planning about 35 minutes of coverage during the event that will include some control room chaos, interviews with members of the team, and surely a cheer (or maybe gasp) when the satellites finally bite it.